Throwback Thursday: An Incredible Recollection of Growing up in Durban by John Taylor. Durban has so many incredible, nostalgic stories and we have found the greatest memories, recollections and images on www.fad.co.za. by Allan Jackson. If you are really into the history and facts about Durban, you can also order Allan’s book online from the site. Often, we get a glimpse of our beautiful Durban, beaches, entertainment and history from stories of elders, parents and grandparents. There is only so much you can learn from history books and museums. 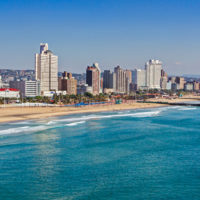 And now, with so many people spending their time looking at their mobile devices and not listening to the magical stories of Durban, we were delighted to read the stories on the Facts About Durban website. One that really intrigued us was by a regular contributor John Taylor published on Facts About Durban on June 2008. The Beatles, body surfing at the beaches, 14 cents for a movie and toilet roll streamers in cinemas, it’s a MUST READ!! It’s amazing to see that even though its almost 60 years later, the beaches, movies and spending time with loved ones at Durban’s favourite hangouts is still the best thing to do! Good Day Allan, as someone who has lived all my life in Durban, I find your website absolutely fascinating and nostalgic. I particularly enjoyed Gerald Buttigieg’s description of “what did you do for fun in Durban”, and I thought that I would throw in some reminiscences of a period in time slightly after that which Gerald so eloquently describes. As a teenager in Durban in the early sixties, I guess I was what is best described as a “movie addict”, except that the term “bioscope” was the description in use at that time. Judging from the number of people going to the movies in those days, I wasn’t alone. School holidays meant two things – beach and movies, and the time of the year wasn’t important because we didn’t seem to notice that it was winter during the July holidays, and that the sea was cold. I lived in Musgrave Road, and for five cents I could travel on the municipal bus into the centre of town. I seem to remember that trolley buses were still being used, and that if the driver accelerated too fast, a type of trip switch went off, which he had to reset before the bus would move again. It was also a regular occurrence for a trolley to disengage from the overhead line, which meant that the conductor had to draw out a long pole from a compartment at the back of the bus, and use this to position the trolley back onto the power wire. Rather than spend more bus money, I usually walked from the town gardens to the area at South Beach where our particular gang hung out, just below the stone wall next to the XL tea room. We had a great time body surfing, playing touch rugby or soccer (using what was known as a “Frido ball” – one of those plastic blow up balls that invariably got popped during an over robust tackle), and generally eyeing the chicks or just sitting on the wall chatting. Some of us had surf boards – large heavy plywood constructed things with a bung to let the water out after surfing. These had aluminium skegs, and I recall that we had to take one of our crowd across the road to Addington Hospital to get his head stitched after the board had landed on him when being wiped out on a rough day. Round about 1pm, everyone packed up and headed to “bioscope row” – which was the part of Smith Street in which was situated the Embassy, 20th Century, Metro, Playhouse, and Prince’s (which at some stage was converted into the Cinerama). There was also the nearby Picadilly. The tea room cinemas mentioned by Gerald (Roxy, Oxford, Capri) had by that time become unfashionable for our crowd, on the basis that only the lower classes frequented them!! Anyway, for 14 cents you could gain entry to one of the movie theatres, and sit anywhere you liked. This was ostensibly for the first ten rows (I think that it was 20 cents behind these) but no-one took too much notice of this. Which theatre you selected was generally based upon the number of attractive young ladies in the queue, so I guess the motivation for going to the movies was primarily for social reasons. Compared to the quiet, staid atmosphere of today’s cinema, matinee performances in the early sixties can only be described as a riot. All theatres were generally packed, and the hooligan element was always present, although their actions were more fun orientated than harmful. Once the lights dimmed, toilet rolls flew like streamers across the theatre, to the delight of the audience. Before the main movie, news was presented either by way of African Mirror, Movietone, or Pathe. One of these had a rooster crowing as part of the opening credits, and some enterprising person smuggled a live chicken into the theatre, and at precisely the right moment, threw this on the stage – seeing the ushers trying to retrieve the bird to derisive calls from the audience, was hilarious. “Theatreland at Night” taken about 1954. The Embassy did not exist then. The Princes would have been on the extreme right of the photo so unfortunately cut out. Aliwal Street runs across Smith Street between the 20th C and the Metro. The Metro had a big lighted noticeboard indicating what was showing and who was starring. A school colleague of mine had always been intrigued by the interior of the Playhouse, with its artificial sky with stars, and the lighted battlements and castle-like structures. He decided that it would be an ideal environment for bats, and hid three banana bats that he had caught in a box in his kit bag, which he released during the movie. The bats flew around above the audience and across the screen for some time, before roosting somewhere – perhaps their descendants are still there! In the early sixties, large parts of the world including South Africa were Beatle crazy. I remember that it was decided to screen the Beatles film “A Hard Days Night” for the first time in Durban at a matinee on school break up day. The theatre in question was the 20th Century, and for some reason the management did not open the doors until quite late (these were of a folding glass / wood construction). Invariably the crowd became restless, and the pressure on the doors caused the entire structure to collapse. Ushers ran for cover, while the crowd rushed in to grab the best seats. One of our rituals after the movies was to head for the Model Dairy opposite the side of the post office, where they served great old fashioned mikshakes.